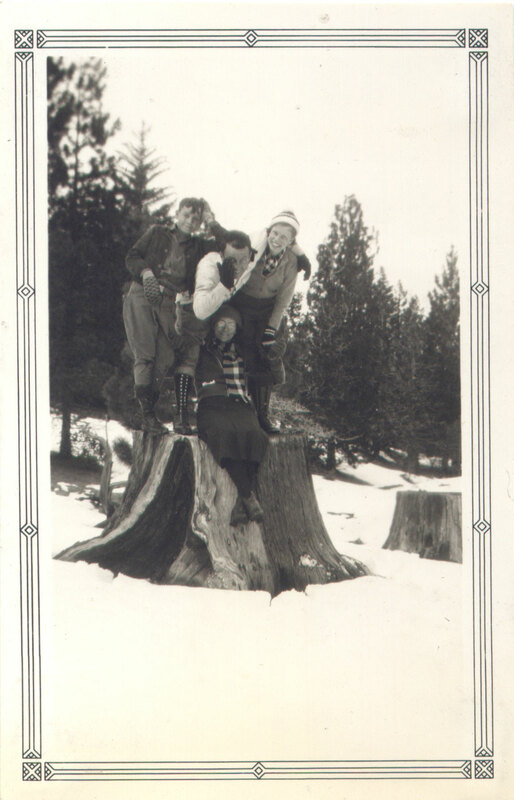 In lieu of catalog scans today I’m back to my little picture stash, sharing some fun little snapshots from the mid 1930s of a family or a group of friends in the snow. 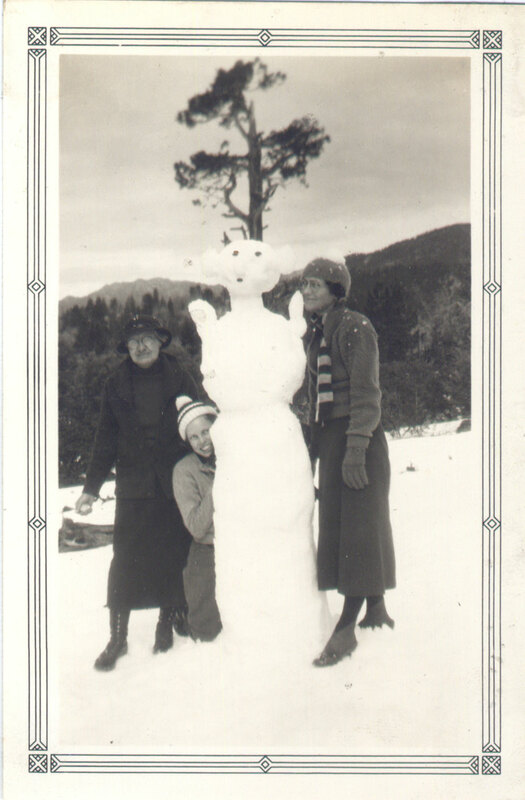 Snowsuits are some of my very favorite vintage fashions. I don’t own one yet myself, but I adore the styling of them from the mid 1930s. Back before the plastic puffy suits were ones of heavy wool, often outfitted with slide fasteners or buttons, and the bottoms of the trousers had rib knitting. Sometimes you see folks in jodhpurs and sweaters instead of snowsuits, and a lot of times they’re wearing high lace up leather boots. 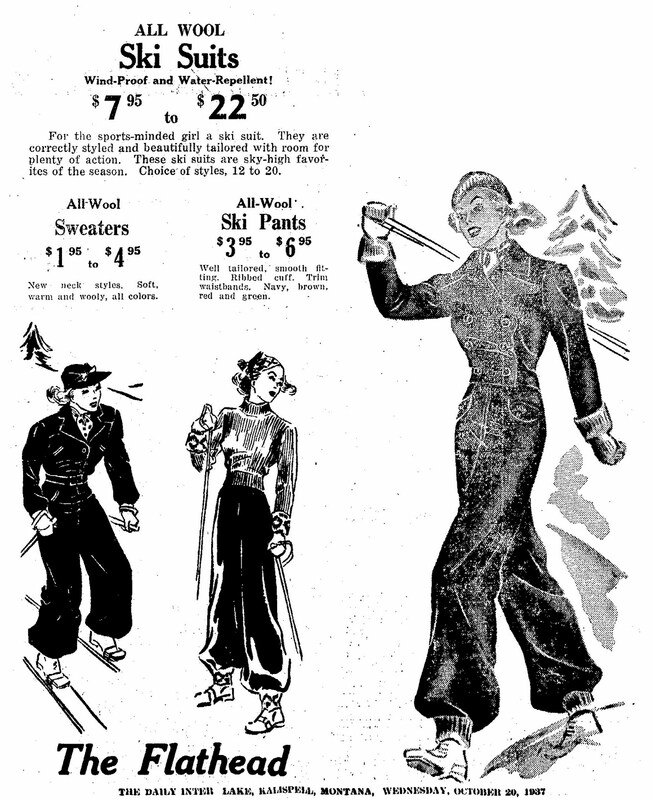 Although you really don’t see them that often, there are vintage patterns for ladies’ snow suits, as the old ad in below shows. I’ve got one in my stash from around 1935, but I rarely see them turn up. Still, might beat paying hundreds of dollars for an original snowsuit! I had my eye on one on eBay recently that went over $400! So how about you? 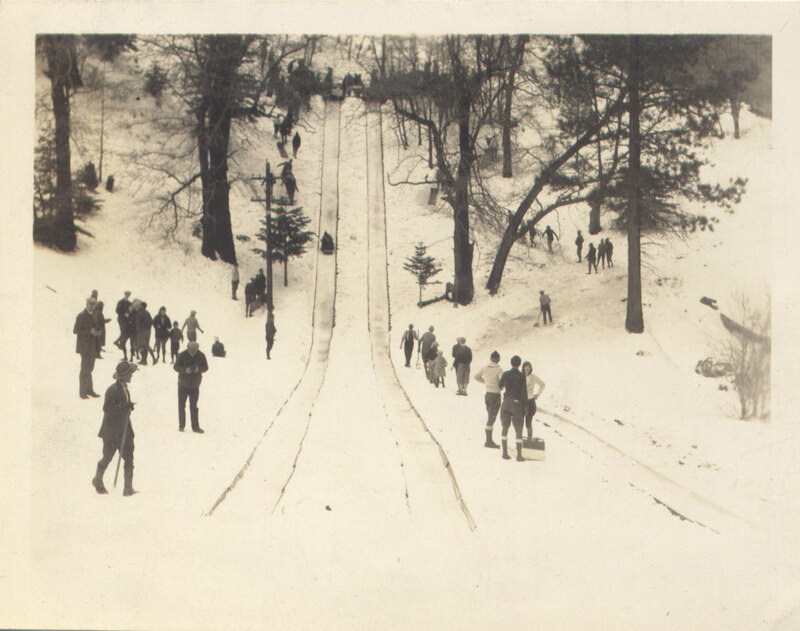 Love or hate vintage snow wear? Have you ever worn one or do you own one? How good are they at keeping out the cold? >En lieu instead of In leiu? ;-) I prefer spring, summer and autumn – and your blog! >How funny! I've never paid much attention to vintage snow fashions (except what Betty Grable wore in How To Marry A Millionaire) but I came across this pair of snowpants tonight on Etsy (http://www.etsy.com/view_listing.php?listing_id=39577392) and now you're post :DThey would still have been layered over several other layers of wool underwear I'm sure, so I imagine they would be quite warm…just not very wet proof necessarily. But then, if you're used to something and don't know any differently…they would keep out the cold quite well! I only wear wool winter jackets here (I think ski jackets are the ugliest things in the world) and we get down to -35 with wind chill for a few weeks in winter. I have different thicknesses of jackets though, from an Eskimo one with fur trimmed hood to a vintage Gloverall from England. >I was just starting to enjoy the warmer days we've been having, but those folks are having so much fun that I wish it'd snow again! >just LOVE these. 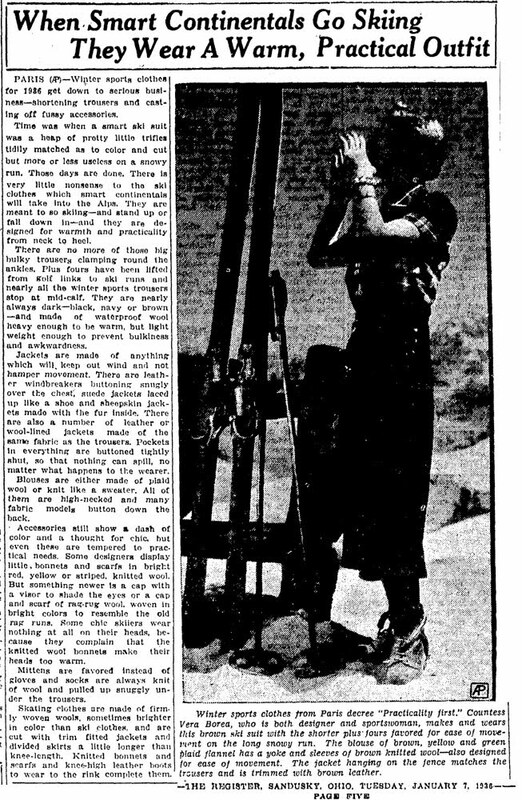 I did grad work on the history of women's participation in mountaineering and was struck by similarities in what the lady climbers wore and the gals in your pics. The puttees, etc. Oh, just saw a pair of 1930s wool ski pants on Etsy today. They're a glorious green, white, and black plaid. Just fabulous! >I love vintage skiwear. I have several sets: A brown wool with a Sonja Henie label. It's lined in cotton flannel that is a ski themed novelty print!A grey and red gab set from the 40sAnd a mod 1960s set that belonged to olympic skier, Bud Little's wife Mary.I don't wear them; I just admire them. 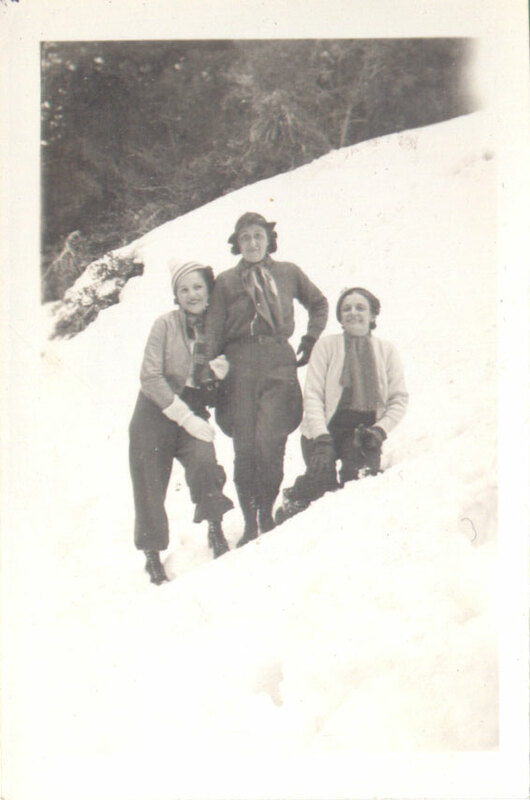 I also collect vintage photos of ladies in their sportswear.I was looking at a 1937 Bazaar this morning and it showed a woman wearing the latest in ski wear – a skirt! 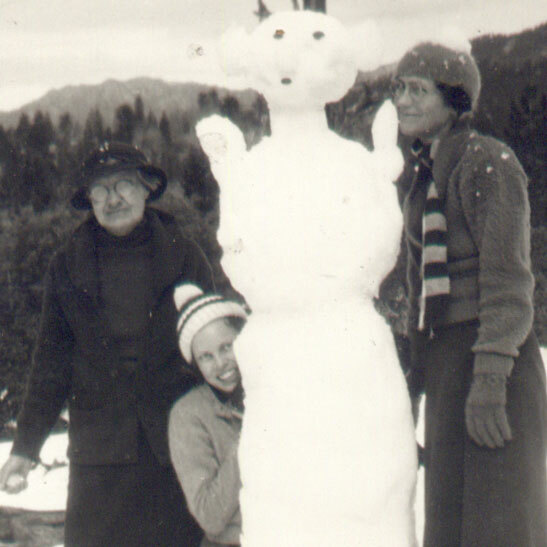 >It's snowing outside now, and that reminded me of this post ;) I love vintage winterwear – wish I owned one of those terrific 30s or 40s wool snow suits! I have yet to run across one in my travels. 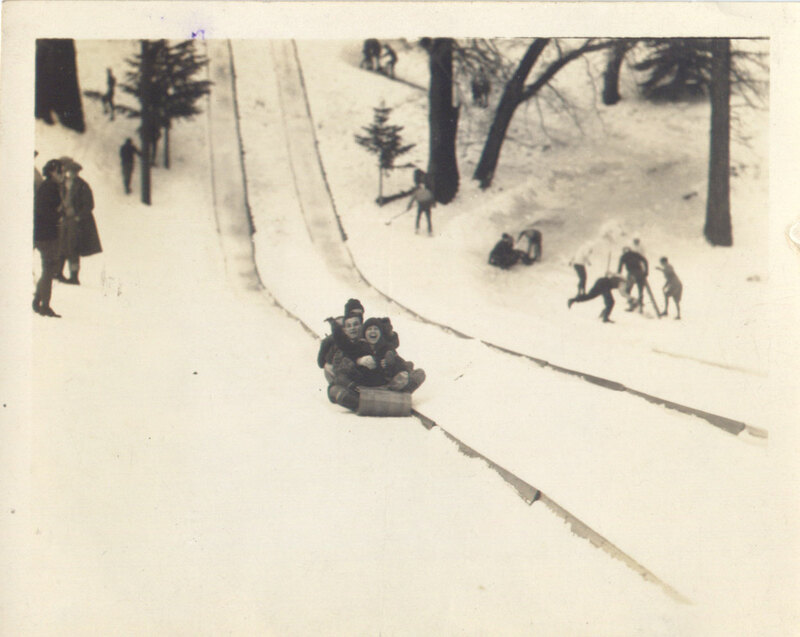 I'm not savvy enough with sewing to make one, but maybe someday.I also love old photos – especially of "real people" who are obviously enjoying themselves. Thank you for sharing the pics!